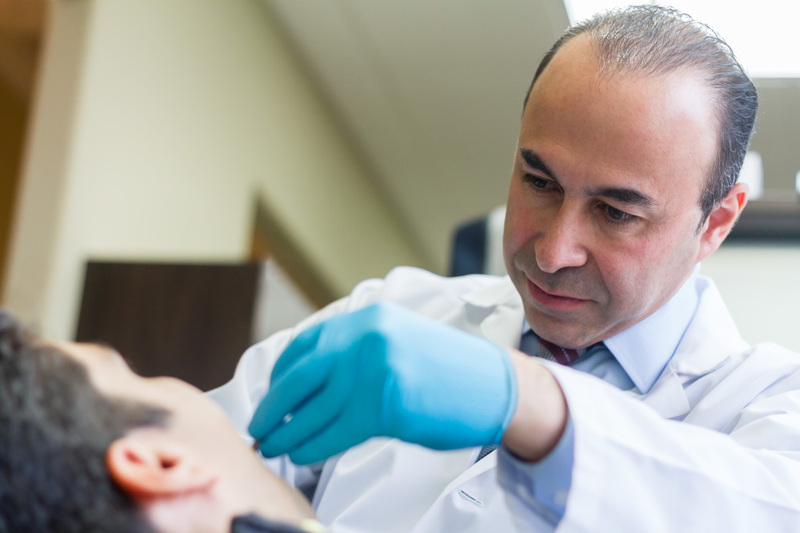 Dr. Aryan came to us when he was opening up his new practice called San Antonio Dental Center. He wanted a us to create an inviting and inclusive logo that would help make his patients feel welcome in his practice. We came up with a friendly and unique design that has been implemented throughout his two locations. The doctor wanted a logo with a unique look to help him stand out from the many other dentists around while still keeping the warm and inviting feel of a dental center that serves the entire family. We came up with an icon in the shape of a heart but that also references two parents and their child. 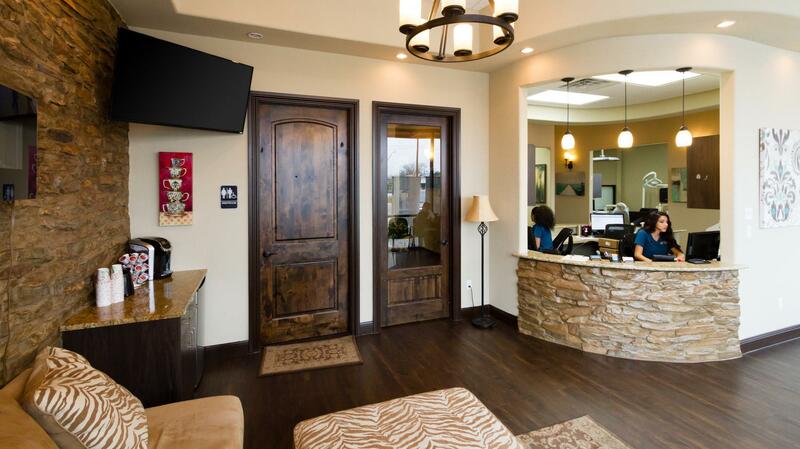 The color scheme that we decided to use also helps his dental center stand out from the standard blue hues that most medical and dental offices tend to lean toward. 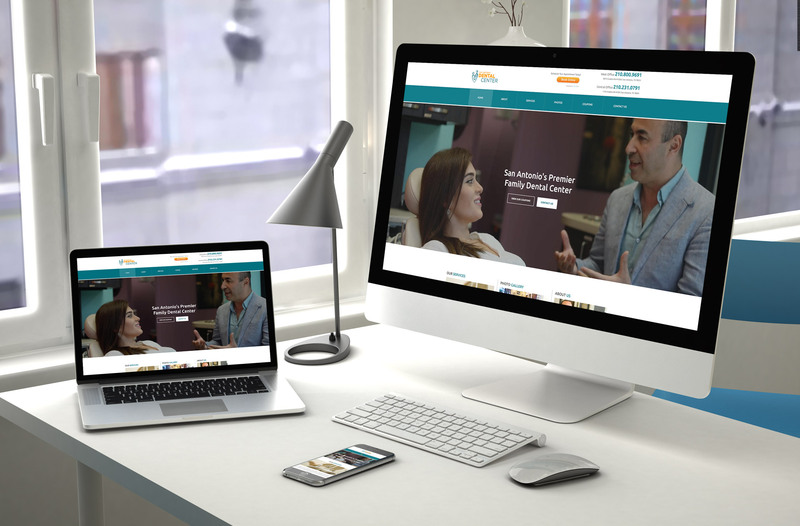 One of the more important aspects of a dental practice is a good website. Many people's first impressions of the dental practice will come from their initial research done on the web. 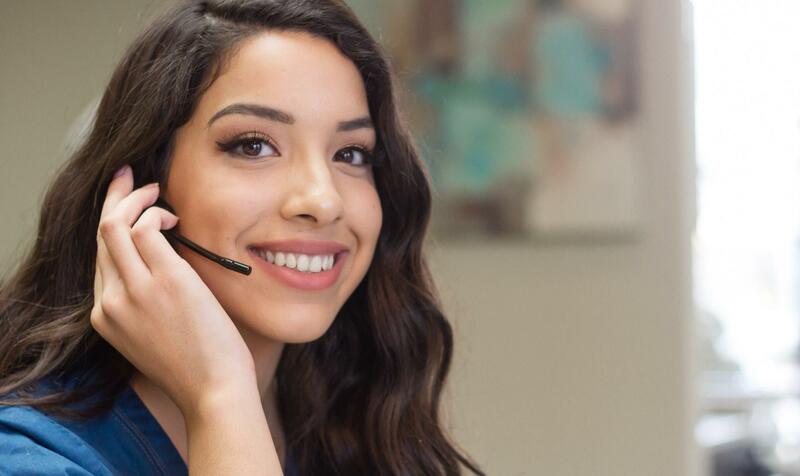 That's why we made sure to create a site that showcases the friendly environment that potential patients will experience when coming in for a dental appointment. Since we were in charge of building the website, it was vital for us to have good content to fill it with. Photos and videos communicate much faster than text ever can so we always suggest that our clients have professional photos and videos taken of their businesses. 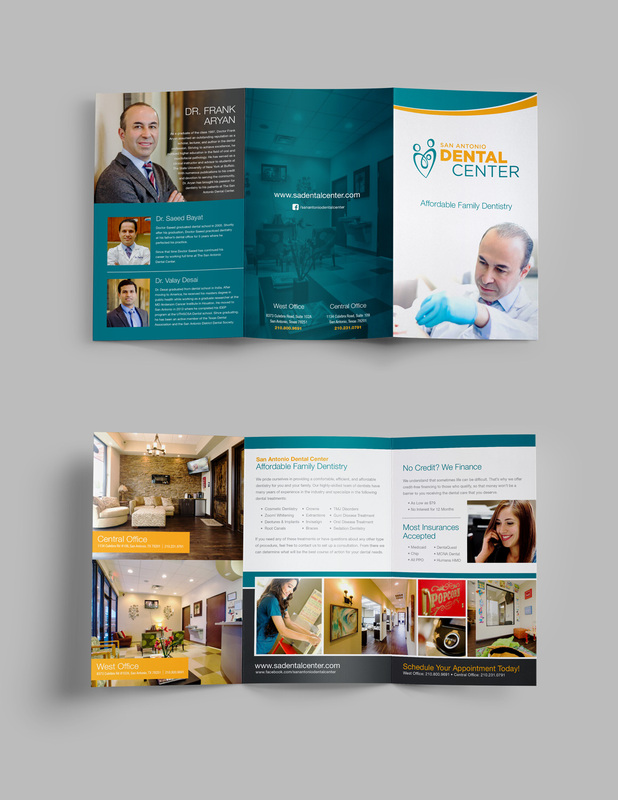 San Antonio Dental Center allowed us to fully brand all of their marketing collateral. From envelopes and folders to door signs and business cards, we were able to keep their look and feel cohesive and consistent across all of their marketing efforts.